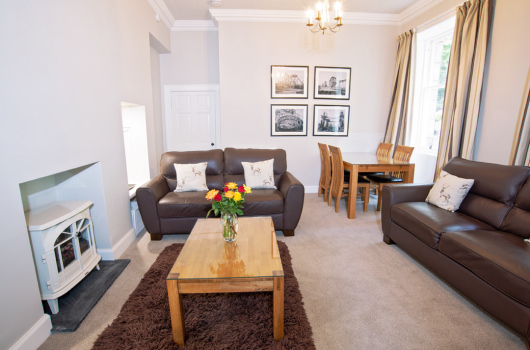 Lomond is a large, two-bedroom, self-catering serviced apartment on the ground floor of Northcliff House in North Queensferry, Fife, near Edinburgh. It is unique among Northcliff's apartments in that it has its own outside door, which was the original door to the mansion house's kitchen and servants' quarters. It is especially suitable for professionals working in the area, whether in Rosyth, Dunfermline, Edinburgh or the South Gyle business centres. The lounge is situated in the original kitchen of Northcliff House. With the old cooking range removed, it provides a large comfortable living and dining area. 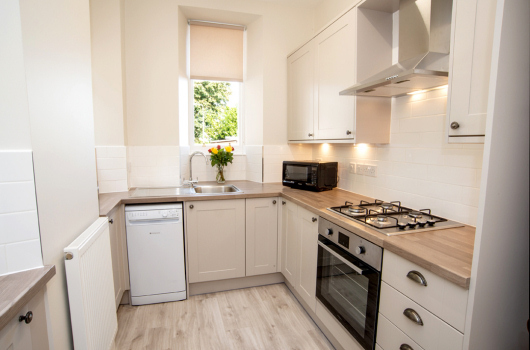 Well equipped kitchen with views over the village to the iconic Forth Rail Bridge, a UNESCO World Heritage Site. 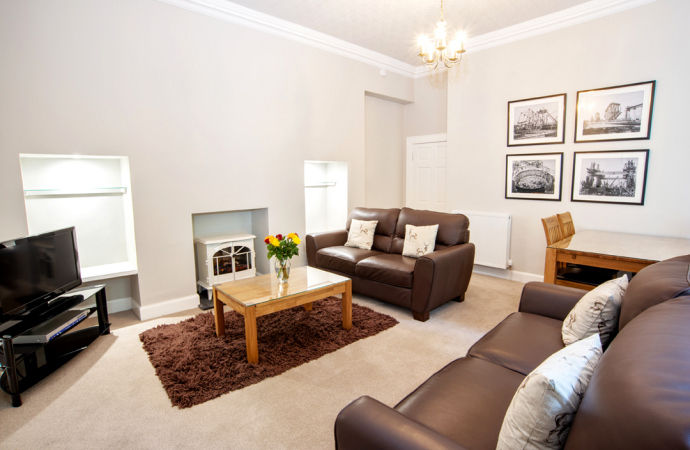 Equipment includes gas hob / electric oven, dishwasher, fridge / freezer, microwave and coffee machine. 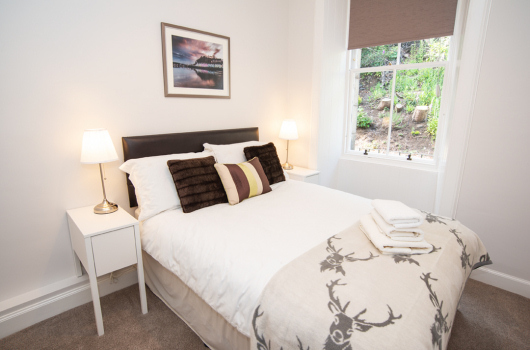 Bedroom one has a double bed and views over the Forth to Arthur's Seat, Edinburgh and beyond. Bedroom two has a double bed and a spacious storage cupboard. Fully-tiled, bright bathroom with bath and shower over. A hall cupboard houses a washing machine and dryer. High-speed fibre broadband and USB charging points. 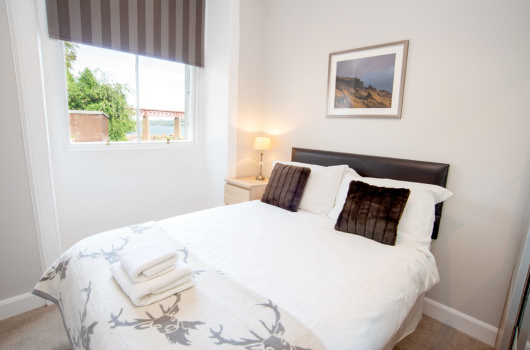 Regular cleaning and linen change to suit individual requirements. Optional laundry / ironing service (at additional cost). For availability, please contact us by telephone or email. Thank you for a super place to stay during all our work in Fife. Thank you so much for a wonderful stay. Lovely accommodation. Definitely the best holiday we have had. We will be back! The perfect setting. Thanks for everything. Our stay was simply amazing and comfortable.